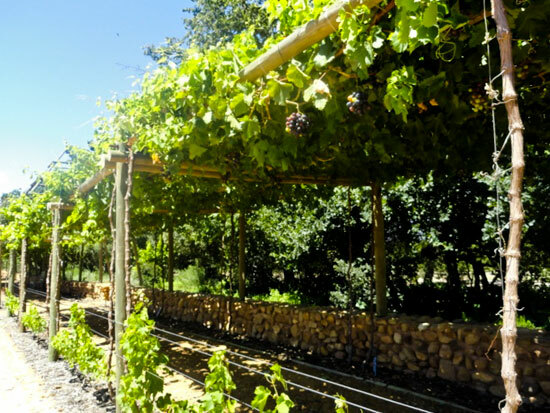 We’re enjoying monitoring the progress of our table grapes on the farm, where we have 18 different varieties, planted in a pattern of ripening, from the earliest ripening (eg: Prime Seedless), to the latest ripening variety. 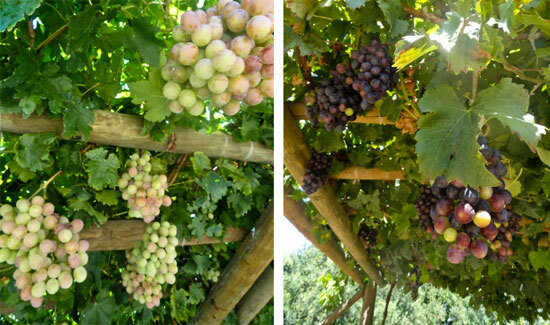 Right now, the grape bunches are hanging heavily on from the trellis, awaiting another 2-3 weeks of ripening. Most of these grapes are Vitis vinifera, with the exception of our Catawba grape, which is fairly unusual in South Africa, and can have a pronounced musky or “foxy” flavour. 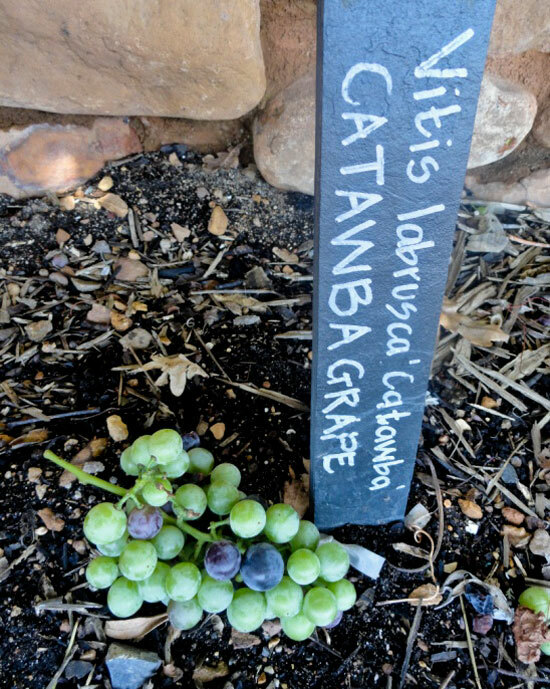 Catawba is a Vitis labrusca grape, better known as the wild Vitis variety, which is used for wine as well as juice, jams and jellies. Hi. Is catawba die “ou glippertjies”? Waar kan ek twee stiigies vir ‘n prieel by ons huis kry? stuur vir my u epos dan kan ek dalk help met stiggies. I read your comments re helping with Catawba stiggies. I have desperately been looking for two vines for a pergola at my home. Would absolutely love if you could help me with these or point me in the right direction to get some. I AM LOOKING FOR 2 TO 4 PLANTS ASWELL .PLEASE E MAIL ME.I am in thr George area. Ek is op soek na Catawba druif plante – kan u my help? Ek het by Plantland Zambesi in Pretoria Catawba plante gekry. Ja dit is ‘glippertjie’. Are you making wine with catawba grapes yet? Tasted some, heavenly scent and flavour. If you havnt as yet, could you tell me of a wine producer that does please. Not yet Nicolette, but you never know! We serve them as table grapes at breakfast in Babel. Hermanus, en wonder waar die beste plek sal wees om hulle te kry. Dankie! Hi Anna-Marie, jy kan vir oom Anton Roux kontak by 072 738 4438 – hy is deel van ons tuin span en sal jou kan help om dit in die hande te kry. Groete! Good morning Roger! We can help you with a few cuttings, but sorry, no plants at the moment.